OSE large metal "Y" style water fitting. 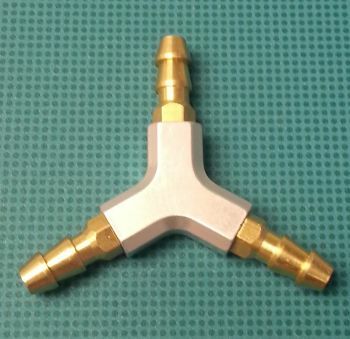 This fitting will work with either the OSE 7/32" or 1/4" OSE silicon tubing. The inner diameter of the fitting is approximately .098" (2.5mm). Measures approximately 1.38" (35mm) from top to bottom. These come natural aluminum in color.